This Gift Certificate can be redeemed for a ticket for the Best of Portland Walking Tour. 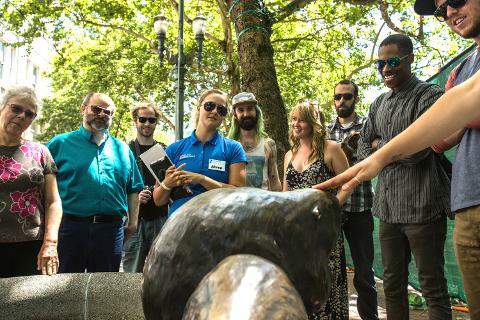 Help your friends, family members or co-workers get to know Portland with our Best of Portland tour. A must for visitors, but great for locals, too. Even folks who’ve lived here all their lives say they discover fascinating gems on this tour.